"IN A WORLD WHERE PEOPLE COLLECT POKÉMON TO DO BATTLE, A BOY COMES ACROSS AN INTELLIGENT TALKING PIKACHU WHO SEEKS TO BE A DETECTIVE." 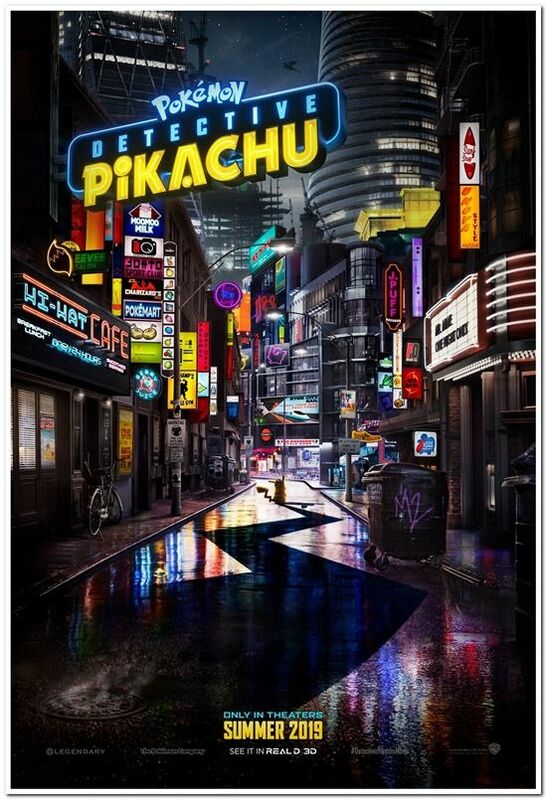 HEY POKEMON FANS: This is the US Regular Advance style movie poster from the newest Pokemon movie called: POKEMON: DETECTIVE PIKACHU." It is a 1-Sheet and it measures approx. 27 x 40 inches in size. The poster is rolled and in near mint condition. It is DOUBLE-SIDED and has been stored in a dry, smoke-free home.